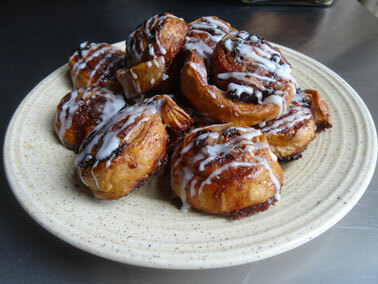 Easy to make & lovely with a cuppa....that is all. 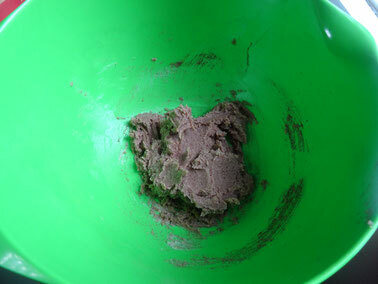 Beat the butter until soft then mix in the sugar & cinnamon. 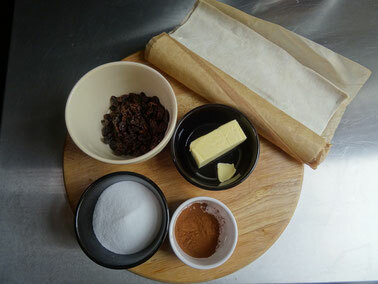 Lay the pastry out & spread the butter mixture over it making sure it goes right to the edges. 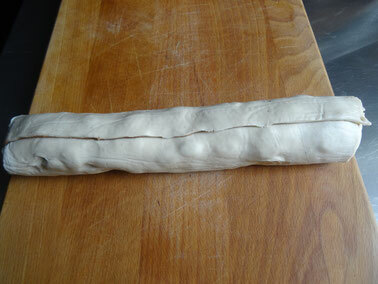 From one of the shorter ends carefully roll the pastry up to make a log. 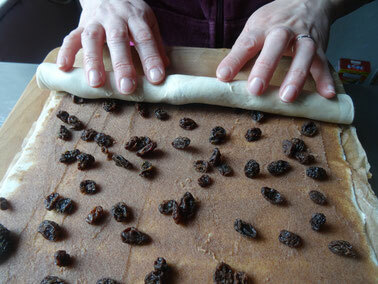 Wrap the log in cling film & chill it in the fridge for 15 minutes & pre-heat the oven 180C/Fan160C/Gas 4. 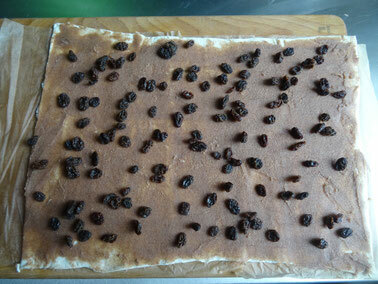 Remove the log from the fridge & place on to a chopping board. Using a sharp knife cut the log into 12 even slices. 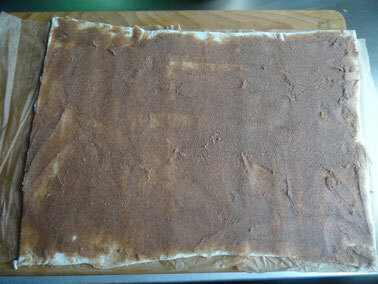 Place the slices on a baking sheet, space them out as they puff up! 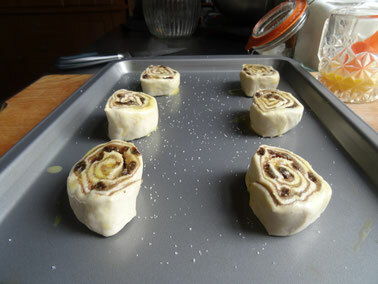 Brush the swirls with egg & sprinkle with a little extra sugar. Bake for 20 minutes until golden brown & puffy.